Todays episode of Join Up Dots brings to you a story of entrepreneurial success and persistence. 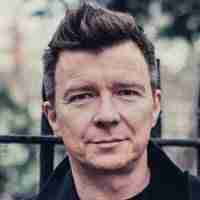 Musician and 80’s pop star Rick Astley has returned to the top of the UK album chart after a gap of 29 years. Which is astonishing in so many way, not least to the man himself. You see this was music made by himself, for himself. This was the love of the craft finding a place in the UK record buying publics heart. The singer’s comeback album, 50, beat new releases by Tom Odell and Paul McCartney to reach number one. The star first found fame in the 1980s as part of the Stock, Aitken, Waterman hit factory – but his new material presents a more mature, soulful sound. He was engaged in a battle for the number one slot over the last week, changing places with Tom Odell on several occasions. In the end, he outsold the Chichester-born singer by just 3,700 copies. According to the Official Chart Company, Astley sold more physical CDs, while Odell secured more digital sales and streams. Astley last topped the chart in 1987, three years before Odell was born, with his debut album Never Gonna Give You Up. The star said he’d enjoyed the support of pop royalty in his quest for the top slot this week. But is this a story about persistence, or talent just finding its time to shine again?